When the clock strikes 5pm, it's time for me to get out of my secluded corner office inside the library and patrol around the library and help around the library assistants with their task. 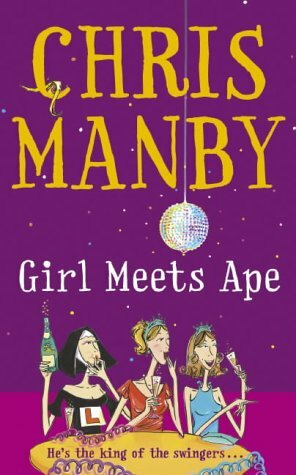 However today, when I was around the fiction aisle, I came across this book title Girl Meets Ape by Chris Manby. Needless to say, the title and the cover induced me to pick it up and read it. Needless to say, since I haven't been doing any book readings lately, I decided to pander in some comical romance of this novel. Reading materials such as these modern romance is one of my favoured escapades I do love to exercises my right hemisphere side of the brain by 'visualizing' the story as it unravels with the help of the author's conscientious writing. Happy reading, everyone.